An orange-colored citrus fruit that is a variety of the Mandarin orange. 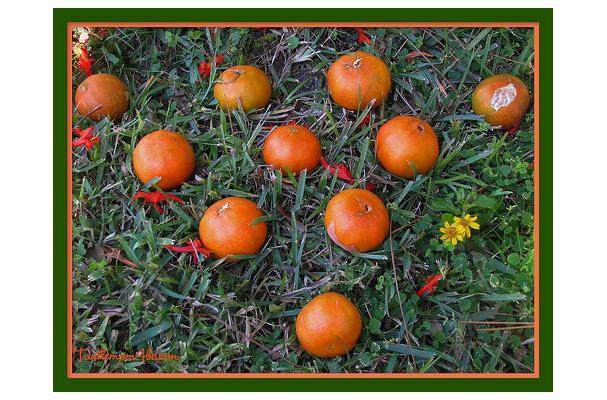 Tangerines are grown in Florida, California, Arizona, and Texas. Tangerines are smaller than oranges with bright orange skins and slightly looser peels than oranges. Choosing: Choose tangerines that are heavy for their size, an indication that they are juicier. The fruit should not be soft. Buying: Tangerines are available to buy in Metro grocery stores all year round. Procuring: Tangerines are grown in Florida, California, Arizona, and Texas. Each variety has its own short season, lasting approximately 2-3 months. Choose tangerines that are heavy for their size, an indication that they are juicier. The fruit should not be soft. Cleaning: Scrub the outside of the tangerine, peel off the skin and run the tangerine under cold water. Store the tangerine in a cool (not cold) place. Cold will damage the fruit. If the tangerines are placed in a plastic bag, punch small holes in the bag to avoid the condensation which could damage the fruit. History: Tangerines are native to China. Morocco, where the fruit grows in abundance.